Granite has compact structure, high compressive strength, low water absorption, high hardness, good chemical stability, good durability, but poor fire resistance. Granite is an excellent construction stone, it is commonly used in the foundation, piers, steps, pavement, can also be used for masonry houses, walls, etc.In the industry, granite commonly used as an acid resistant material. Granite is a material that is difficult to crushing, but is usually slightly easier to crushing than basalt. Although granite has high hardness, it has a certain brittleness. 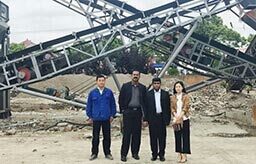 Therefore, the design of the sand making line can be relatively flexible design.Granite hardness is relatively large, crusher equipment configuration to follow the multi-level crushing, more crushing less grinding principle, in the process of production and processing of granite, the main use of the following crusher equipment: jaw crusher, cone crusher, impact crusher and so on. The granite crushing process is divided into primary crushing, secondary crushing,sand making, sand washing several steps. 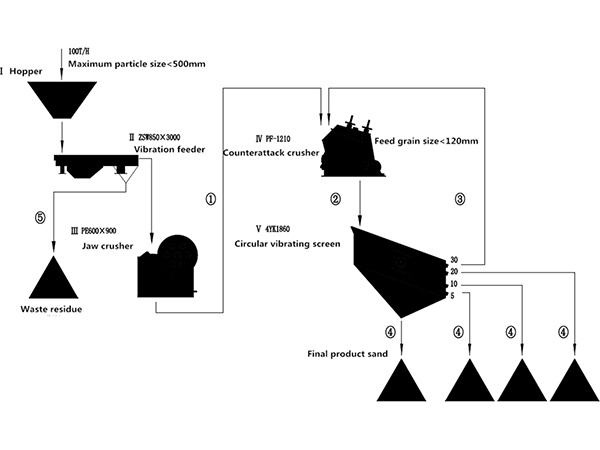 Step 1 Granite stone coarse crushing: large granite stone from the silo by the vibrating feeder even feeding, transported to the jaw crusher for coarse crushing, crushed materials through the vibrating screen screening, then into the impact crusher / cone crusher. Step 2 Granite stone medium fine crushing: the granite stone after the impact crusher / cone crusher, transported to the vibrating screen screening, meet the size requirements of the material into the final products soils, do not meet the size requirements of the granite stone back to the impact crusher / cone crusher crushing again. Step 3 Fine crushing and shaping: the broken granite is fed into the sand making machine for further crushing and shaping. If you need clean granite, can be sent to sand washing machine or spiral classifier cleaning. Step 4 Packaging and transportation of finished products. 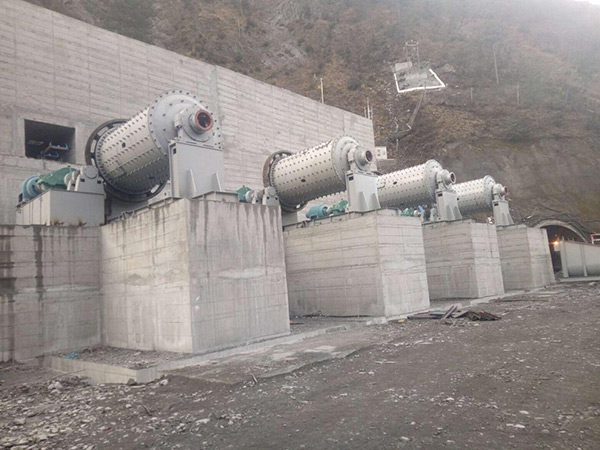 Winner Group’s granite sand making line with a high degree of automation, high crushing rate, low operating costs, energy saving, fine particle size and so on. Winner Group can be based on specific production requirements, to provide you with a full range of process solutions and technical support to ensure that meet your needs.